The path and filename of the selected image are shown here. Opens a dialog where the text can be entered, which should be shown instead of the image, in browsers that cannot display images. The image selected here is shown if a value has not been saved in the data field yet. 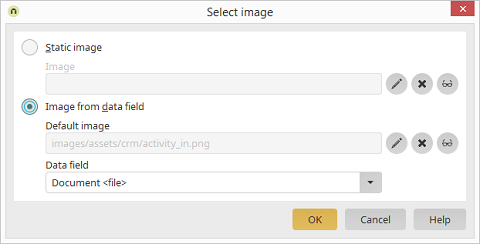 Select the data field that provides the images.